Christmas Competition: Win with QuoteSearcher! 2014 has been a long year for fleet owners, as during this year we have seen a number of changes and new technologies enter the fleet sector. However, Christmas and the New Year is almost here, which means it’s time to kick back and relax with a well-deserved drink. 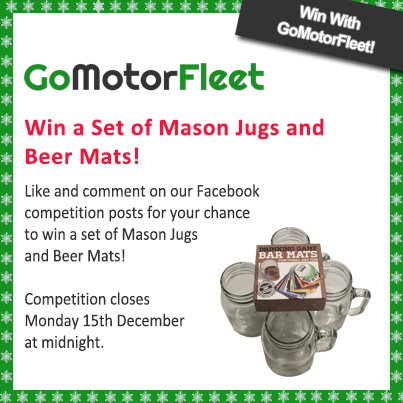 Whether your beverage of choice is an ice-cold beer, lemonade or some mulled wine, you will be able to drink in style by entering QuoteSearcher’s competition to win a set of four Mason Jugs and novelty Beer Mats! For your chance to win these prizes Like and Comment on our Facebook competition posts by Monday 15th December at midnight.